The program responded to the needs of advocates working to protect and promote the rights of Indigenous peoples across the region. Across the Asia-Pacific region, Indigenous peoples face particular challenges to their human rights, and to their rights as Indigenous peoples. These challenges are often rooted in past processes of colonisation (and de-colonisation) and made more urgent by the pace of economic development. For many, exploitation of natural resources has contributed to marginalisation and discrimination rather than realisation of rights. Indigenous peoples find themselves the victims of development rather than the beneficiaries. Competition over land and resource can lead to conflict. 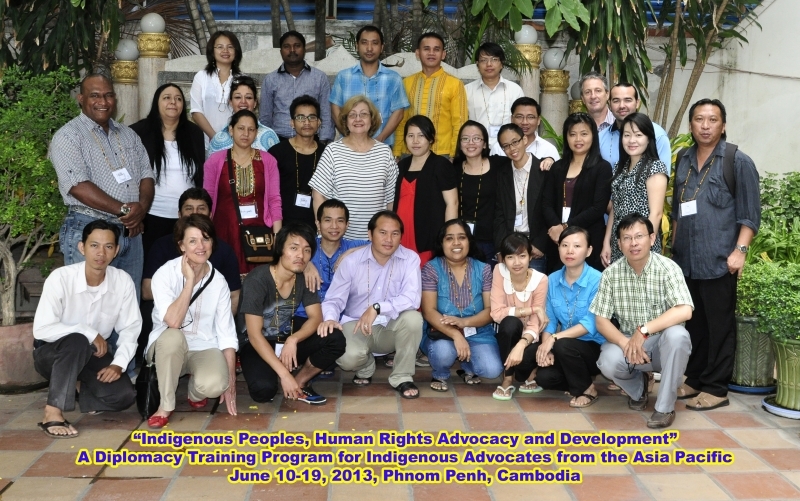 The program provided participants with comprehensive and practical knowledge of international standards and mechanisms that can be used to protect and promote Indigenous peoples’ rights. Participants were provided with opportunities to develop and practice skills in strategic advocacy, campaigning and lobbying, and engaging the media effectively. Through the program’s participatory approach, involving group work, role plays, facilitated discussions and individual presentations, the participants explored the practical application to their own communities and contexts of the principles, concepts, methods and mechanisms introduced by the team of expert program trainers. A field visit to an Indigenous community emphasised the relevance of the program to the real and urgent issues facing Indigenous communities in Cambodia.